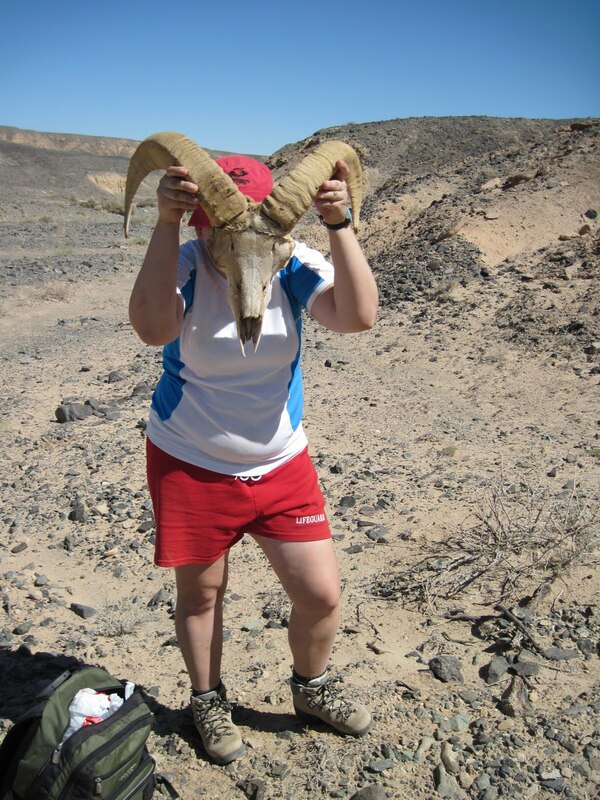 Gobi Desert Diaries: All creatures great and small, part 3. In addition to dead and fossilized animals, I came across the remains of many recently dead animals while prospecting (including one tremendously large and dead camel with the skin still intact). Skulls and skull caps with horns of Altai Argali (Ovis ammon ammon), Siberian Ibex (Capra sibirica), and Goitered Gazelle (Gazella subgutturosa) were common sights, and many skulls were affixed to the fronts of our camp trucks. On one occassion we did see several Goitered Gazelles fleeing from our approaching vehicles – they are incredibly fast. 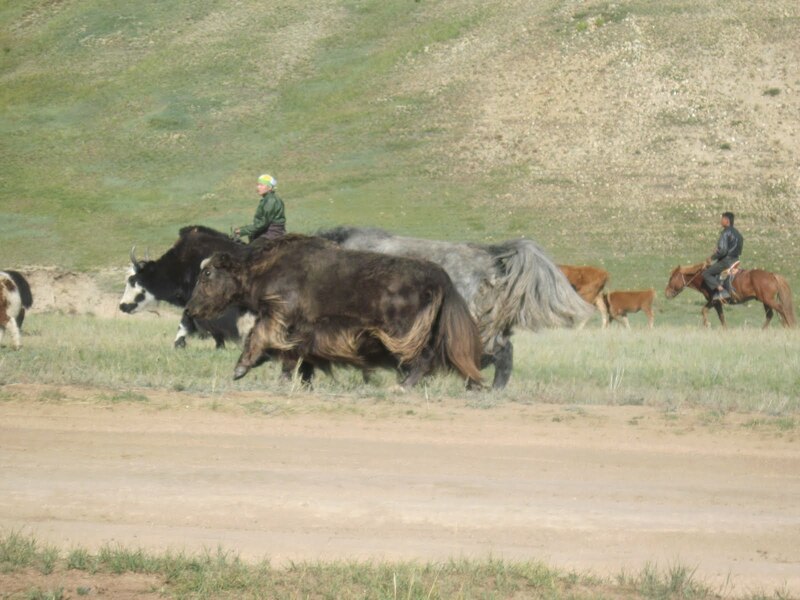 The traditional Mongolian lifestyle includes herding sheep (especially the fat-tailed kind), goats (for meat, milk, and the wool from the Kashmere goats), camels, horses, the occasional cow, and the very occasional yak (Bos grunniens). I had not seen any yaks during my 2007 expedition, but came across them twice this year. Yaks are not native to Mongolia, but were brought in by the Tibetans. I was especially excited to see these two butting heads and flanks – the grey one in the back was larger, and therefore winning. 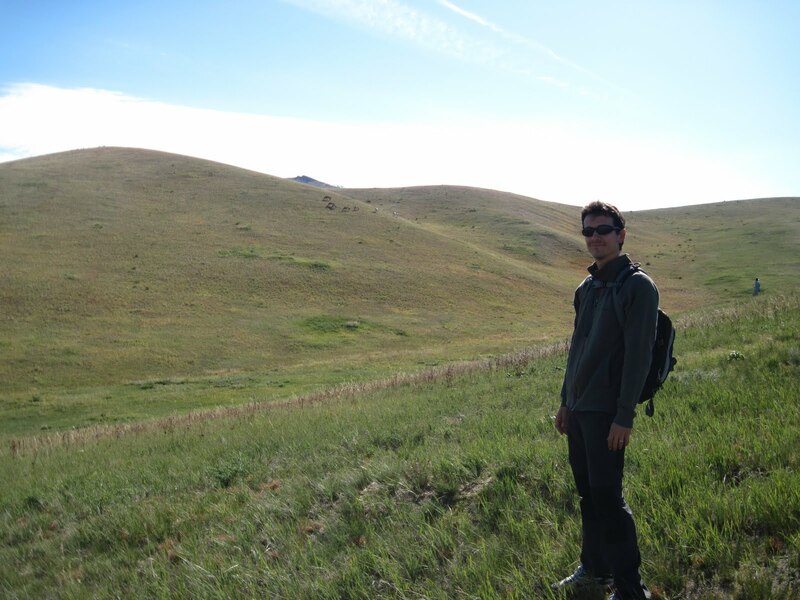 On my final day in Mongolia I visited Hustai National Park with fellow summer traveler Scott and my previous Gobi traveling companion Federico, who just happened to be in Ulaanbaatar at the same time working on a paper. Hustai is most famous for being home to the first reintroduced population of Takhi (Przewalski’s Horse, Equus przewalskii). Although I have seen Takhis in zoos, it was a real treat to be able to see them in their natural habitat. The photo above shows Federico in front of the first family group we encountered – there are strict rules about keeping your distance from the horses even though there are no fences. Takhis became extinct in the wild in 1969, and only two zoos had viable populations in captivity. In perhaps one of the most amazing conservation stories I know of, a breeding program was established based on 13 founder animals, and 16 takhis were released into what would eventually become Hustai National Park in 1992. 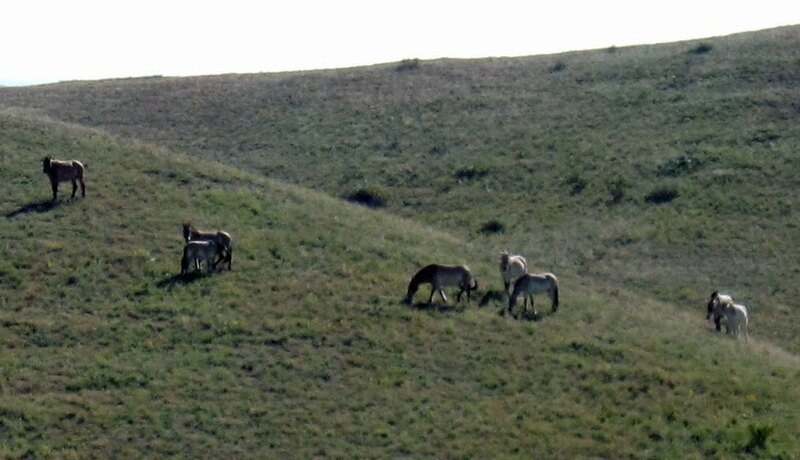 There are now more than 500 horses in the park. Takhis are not feral domesticated horses like mustangs, but true wild horses that have never been domesticated. They are stockier than domesticated horses and have short manes. ← Gobi Desert Diaries: All creatures great and small, part 2. Remarkable that they can survive Mongolian winters. A great conservation story about the Takhis! It is interesting to hear about successes, rather than about more extinctions in the wild. Maybe it is good that some animals do end up at zoos – just for this type of situation, where breeding programs based on zoo populations are needed to re-introduce animals into the wild!